A freight broker acts as the middleman between an entity that wishes to transport property and the carrier that is actually going to do the transportation, and these brokers never touch the actual cargo, but instead, act in more of a logistical role. In order to become a freight broker, however, the United States Department of Transportation (DoT) requires all brokers have a freight broker license. How much does it cost to get a freight broker license? First, in order to become a freight broker, you will first need to obtain a DoT ID number as you will be asked for this number for future applications. To do so, you will want to visit the official FMCSA website to file the OP-1 form, which is the form for the Application for Motor Property Carrier and Broker Authority. When filling out the form, you will want to select the “Broker of Property (except Household Goods)” since you’re applying as a broker only. To file the OP-1 application, there be a $300 filing fee. The next step, after applying for your DoT ID number is to obtain a surety bond as this will act as an insurance in the event the shipper is unable to pay for the shipment. If the shipper were to default, for example, then the broker will have to cover the costs, and if the broker is unable to pay, the bonding agency incurs the cost. As most firms only issue bonds to those with good credit and a clean background, you may be able to find one that makes an exception. With $75,000 bonds being the most common as it’s the minimum required by the government, the annual premiums can be about $500 to $2,500 for a $10,000 bond or about $5,000+ for the $75,000 bond, and this cost will depend on the amount of the firm you choose. When you finally choose your bond and are approved, you will need to be verified by the FMCSA, a process which most firms are able to do. 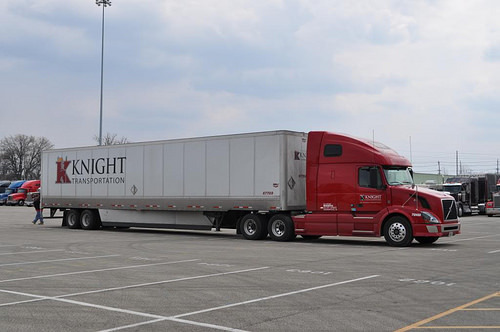 Lastly, you need to consider your freight broker license, a license which is required for you to legally operate as a broker in the United States. You will do so by applying at the FMCSA website, and after being approved, you will receive a federal motor carrier number. Depending on the state, this fee ranges anywhere from $500 to $1,000 on average. Office startup supplies/software – Even if you have a bond and you have successfully applied, you will still need to factor in your equipment, often including your computers, at a minimum, your office space, a fax machine and the typical assorted office equipment. Also, to make business operations easier, you will also need to consider tax-related bookkeeping software (Quicken and TurboTax) and office suite programs such as Microsoft Office. All of this, based on your preferences, will be no different than setting up any other office-related enterprise. As the sky can be the limit, be prepared to set aside a few thousand dollars to get your business off the ground and running. Personal insurance – Aside from a surety bond, you also need to protect your personal assets in the way of a good liability insurance policy. These policies, depending on your situation and the amount of coverage you need, can cost as much as $1,500 to $3,000+ per year. How can you earn your freight broker license? Next, after you submit the application, the FMCSA will grant you a motor carrier number which will then be used with the entire licensure process. On average, it can take up to six weeks to receive your number, according to Learn.org. After you receive your number, you will then need to fill out a BOC-3 form as a proof of a process agent and at this time, you will need to provide proof of your insurance, with the coverage, at a minimum, equating to $75,000. As a freight broker, you will also be asked to designate a process agent for any state you wish to do business in. This processing agent will represent your company and will receive any court documents in case of a legal proceeding. Brokers, if they wish, can designate themselves as an agent if they wish. As the last step, as long as you meet all of the steps above, you will then receive your license of operating authority, allowing you to do business as a freight broker.